On Thursday night before the race, I was trying to measure my readiness. I was thinking, Physically, I'm probably in better shape than I was in May, but mentally I feel more disconnected and less prepared. I wonder why that is! 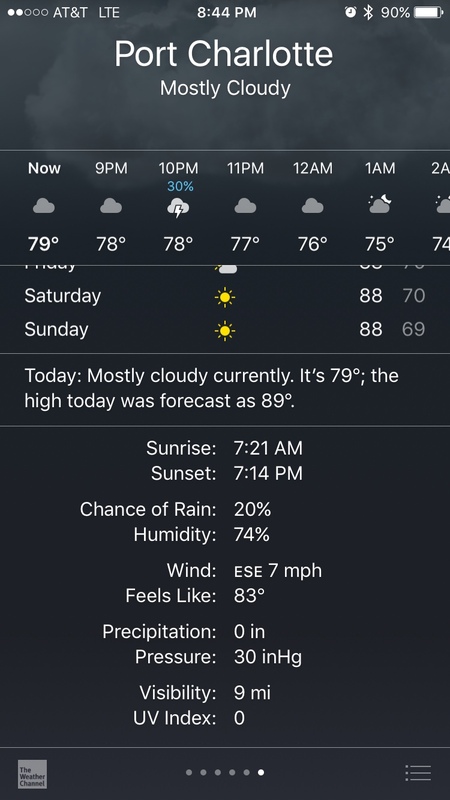 Anyway, we got up to Port Charlotte around 7pm. We had plenty of time to get our bibs and warmup. Originally, Todd wasn't going to run, but we all know how race peer pressure works! He signed up there last minute. Before the race, I jogged around the complex a bit (the race began and ended at the Rays spring training stadium), did some downward dogs, cariocas, etc. 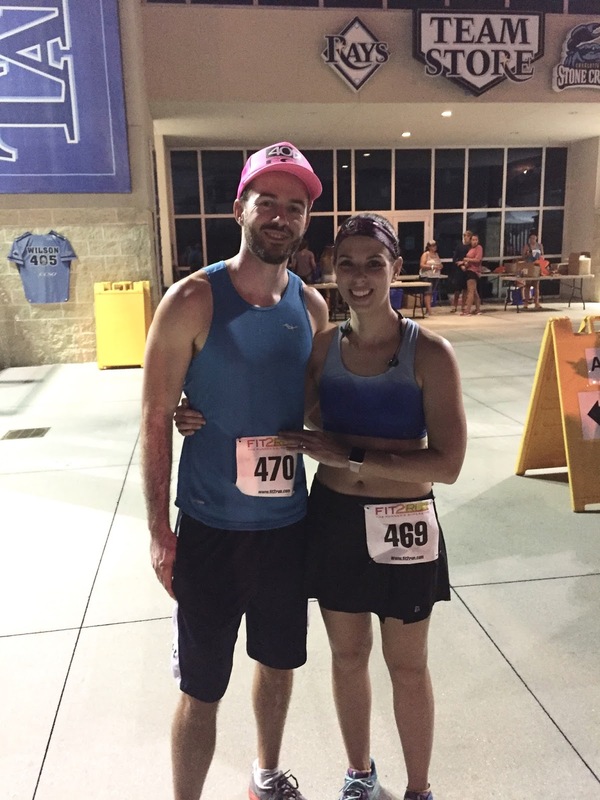 I was a little concerned about a night race, especially because of the time spent sitting in the car on our way there, but I loosened up really well. I ran into two Skirt Sports Ambassadors pre-race - Jenna, who had just done a half Ironman the previous weekend, recognized me in the bathroom and we found Wendy (who had also raced the Ironman) and took a picture! Small world! 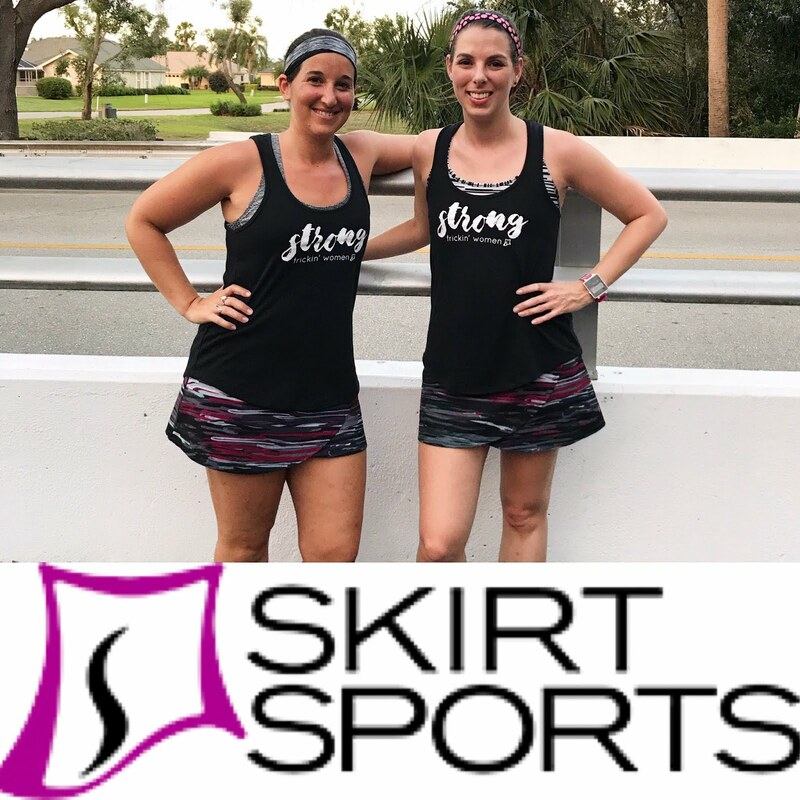 Wendy, Jenna, and me representing Skirt Sports! I wore my new Jette skirt and loved it! The race began at 8pm sharp. The first half mile or so took us through a potholed and slightly-flooded parking lot. I had a lot of trouble finding a steady pace there and was fiddling with my phone and trying to get my music on. About half a mile in, I finally felt my legs click into a happy pace and just kept at it. Usually about 2/3 of the way in I start to flag, but that didn't really happen this time. My legs felt awesome the entire race, but I had a side stitch for most of it and was gasping for breath, too. 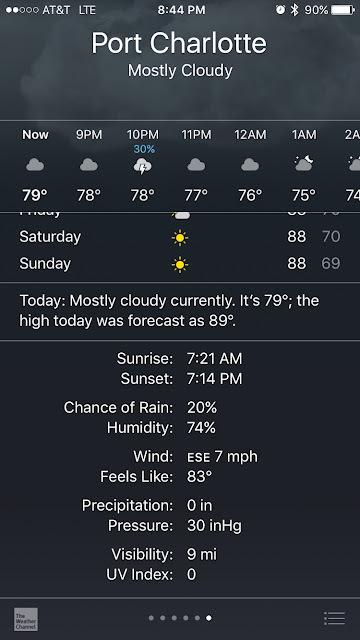 The humidity wasn't that high (74%) but my effort was in full swing. Because the race course was so dark, I didn't pay much attention to my watch. I had my voice feedback set at every .25 miles, so I knew I was steadily keeping an 8:21 pace for the first mile, and about an 8:35 pace for the rest. I really was just making sure I didn't trip! I had to keep a sharp eye on the people ahead of me so I knew where to go, too. Running in the dark meant I had very little self-consciousness. I didn't care what I looked like; I just wanted to run. It made being fast a little easier. I spent the run focusing on just keeping my legs moving; the darkness really helped the race flow by without any dramatic highs or lows. 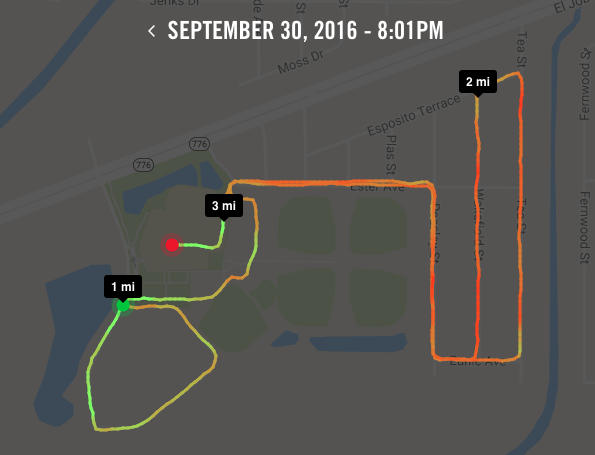 You can see I started out fairly fast, then after a mile I slowed into a more consistent and maintainable pace, then sped up at the end again. Matt got some photos of me finishing. I was smiling through the end and so pleased with a major PR...but I didn't feel totally elated like I did in May until I printed out my results. I saw later that I had edged out the 4th place AG finisher by just 19 seconds, and Matt had edged out her husband by a few minutes. It was the Kearneys vs. the Maurers! Todd finished 6th in 27:48, which is really respectable, especially considering he hasn't run in ages, and Sean took 2nd. There were 20 men in the 30-34 AG, compared to 44 in women's. We all did really well! The post-race celebration was really fun, but I couldn't partake in the pizza and beer offered there, so we stayed long enough to get our awards (pint glasses) and then stopped at Wendy's before our drive home. 3/44, 25/330, 71/508! Color me surprised and happy! It was a totally perfect night! In May, my goal was 27:00 and 26:57 was so close to it that it felt like a fluke and therefore I felt amazed. This 43-second PR tells me that it's true ability, and I'm ready to make more progress and chip away at my times! Aw, I love that you love finishing videos!! I thought mine was very underwhelming but I'm glad you liked it! Sub-26 still seems SO unachievable but...I don't know...14 seconds? Maybe I can do that! That is an awesome time! Congrats on a great PR! Night runs are challenging, I've only done a few. I really love the shirt, it cute. I read somewhere that running in the dark makes you THINK you're running faster, but I think there should be a study done on how it decreases self-consciousness and therefore allows you to just RUN and let it all hang out. Congratulations !! I am so happy for you!! You have been working so hard all summer, you were overdue for this big PR! I'm sure you will continue to crush your PR!! I love that shirt! we never get any black race shirts ! Thanks Ana! It was so great to PR and see that it wasn't a one-time thing in May! The shirt is actually cotton but it's SUPER soft and cute for just wearing...not to run in though! I just love the name of the run...LOL. Great job...all that cross training is paying off. They kept asking us to howl before the race. "Let me hear you howl!" It was hilarious. That's super. Congrats on the PR. I haven't done many night races but I have one on Oct. 22. I do like night races, but I rarely find them...I wish more races were in the evening! Way to go on the new PR! You're getting legit fast. That's cool that Matt really went for it this time, too. Thanks James! Matt felt that if he had had a rabbit to chase he could've done it faster, but it was harder to gauge himself without you there. He needs to practice more! CONGRATS!!!!!!!!!! I'm so happy for you! Your hard work is paying off big time, 45 seconds in the 5K is HUGE! Woop Woop! Thanks girl!!! Yeah, I feel like I forgot that in a 5k, even a handful of seconds is a big deal until I did the math and saw my average pace! Congratulations!! I was hoping I'd hear you got a PR at the end of the recap. You all did great! I've never run a race at night, interesting that you feel more liberated when running in the dark! Wow! Congratulations!!! You e been working so hard and definitely earned this awesome PR & AG place!